One of the Highest Forms of Recreation! At the Peoria Park District we believe that volunteerism is one of the highest forms of recreation! The District has a variety of volunteer possibilities that can offer all segments of the community challenging and rewarding use of their leisure time. Volunteer participation in the Peoria Park District instills a sense of ownership and responsibility in the volunteer that leads to greater involvement and respect. Anyone age 18 and up is welcome to apply for our adult volunteer program year-round. 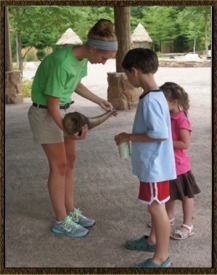 Our new Zoo Teen program is for ages 14-17. Negative TB test are required. All volunteers are considered to be ambassadors for the Peoria Park District. As ambassadors, volunteers are expected to be courteous and helpful to guests, other volunteers, and staff. Being an ambassador also means that volunteers be enthusiastic and have a good time! So What Can You Do At The Zoo? We have different opportunities to fit everyone’s interest, from animal keeping to public speaking. The following are a few of the opportunities available at the Peoria Zoo. All of the jobs require an interest in animals! 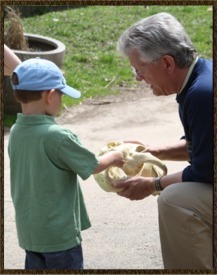 Special Events, Summer/Day Camps, Home school classes, and Zoo Tot classes, Rovers,Tour Guide, Animal Handler, Zoomobile, Africa Guides, Diet Cutter, Assistant Zookeeper, Behavioral Enrichment and Enhancement Program (BEEP). Must be at least 13 years old. Must be at least a freshman in high school by Fall of 2019. Must turn in application, questions and 1 reference (from someone other than a family member or neighbor) by April 1, 2019. Decisions will be made by May 10th. You will receive a letter in the mail either way. If you have not received a letter by May 17th, 2019 please contact us at 681-3559. 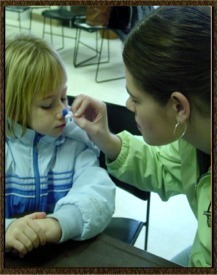 The Peoria Park District attempts to give each volunteer a good experience. Efforts are made to have the appropriate number of volunteers for any event or project. This is best accomplished when all volunteers and groups communicate in advance their intent to volunteer. In many circumstances the events can use extra volunteers, and they are always welcomed. Nevertheless, in the event that numerous extra volunteers arrive, we cannot completely guarantee they will have a job. Every volunteer is considered important and is counted on to be at the event at the appropriate time and place. Volunteers are asked to call if they cannot attend as promised. Thank you for volunteering! We have a wide array of volunteer positions within the Peoria Park District, including ongoing Regular Volunteer opportunities and Special Event opportunities.